Yesterday, Peach featured the short story “Chekov’s Beard” by Bob Raymonda. Raymonda’s new fiction is a comedy of bizarre frustration, slowly unfolding the worst party you’ve ever attended into a surreal, quasi-nightmare. The story centers around a late party-goer, crashing into a soiree populated by a cavalcade of the most obnoxious people on earth, as she forcefully regales the crowd with her latest “worst date ever” story. The story grows ever more bizarre as she tells it, and there’s a deeply scathing and sadly humanistic streak in Raymonda’s prose as the clinically sardonic crowd refuses to buy into her tale of the extraordinary. The story, in which an aspect of her date is slowly revealed to have surreal properties, is best not to be spoiled, but it is in the way that Raymonda allows all of his characters to be absolute boors in the face of a miracle that this story finds its heart. Allow yourself to be frustrated and charmed by it. The Burning Person by Bob Schofield begins as a creation myth draped in pitch black silk before transforming into a love story fringed about its edges with dream logic. A woman and an executioner escape from their lives in the city to the countryside. There they find the titular burning person, a pained entity born out of ghastly nightly fireworks, and they begin to care for it. Schofield paints watercolor scenes of skewed reality using concrete images and phrases, an effect that produces emotions in the reader that are puzzle-like in their complexity: “They put cold air in mason jars, and carried it to the lake. Its surface froze into strange panes of glass, and they chipped away at them with icepicks. In this way they made the perfect window for their church. They fixed it in place with fresh honey and twigs, sealed it with wet clumps of dirt. The sun pushed through the trees, down past the wicker door and into their church, just as the whole congregation broke into song about the glory locked away in that flaming body.” The way the tragedy is constructed through the lyrical framework of Schofield’s The Burning Person moves from the personal to the mythic acts as a sweeping gesture for human kindness in the face of loneliness’s ultimate implausible cruelty. 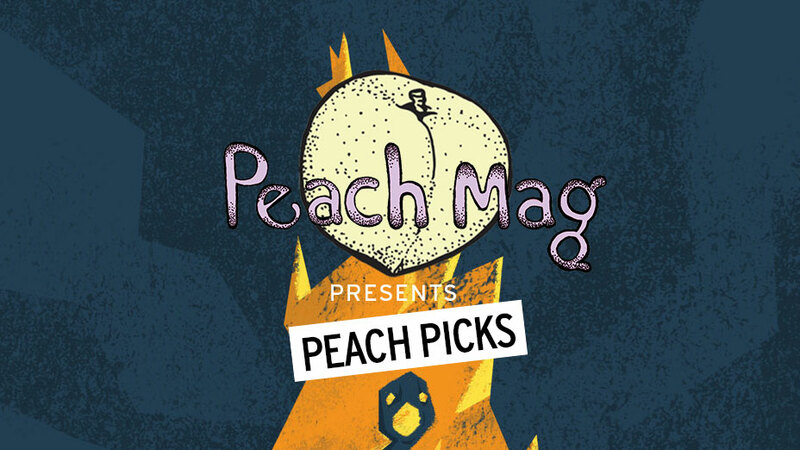 “Peach Picks” is a column of literary news and recommendations written by the editors of Peach Mag, an online literary magazine based in Buffalo. For inquiries, contact the editors at peachmgzn@gmail.com.